Our Microdermabrasian Deep Cleansing Facial is only $80. stimulate the growth of new cells. The result is fresher, younger-looking skin. with a noticeable reduction in the appearance of fine lines. The Microdermabrasian Deep Cleansing Facial lasts approximately 75 minutes. For 1st-Time Facial customers, we offer this facial at a discounted price of only $75. 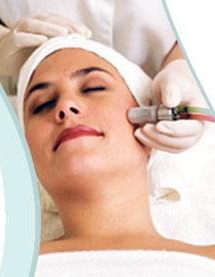 Last Microdermabrasion Deep Cleansing facial appointment is at 7:15pm.